Oil derivatives account for a significant share of toxic waste produced by modern industrial facilities. These materials are a cause of water, soil and air pollution. Among the main producers of waste oil products are the electrical industry, chemical industry, metallurgical industry, and oil processing industry facilities. In the environment, these substances cannot be rendered harmless by natural processes as they are impervious to such processes as biodegradation, oxidation and chemical reactions. These toxic substances cause irreparable damage to living organisms while polluting the soil, water and air. Recent studies by the U. S. FDA also suggest that waste oil may cause cancer and birth defects. 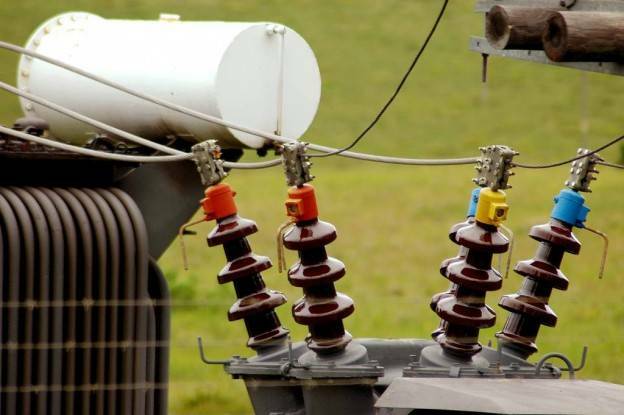 Like other forms of waste oil, transformer oil is one of the most hazardous pollutants. This is mostly due to the polychlorinated biphenyls present in the oil. These chemicals are resistant to hydrolysis and biodegradation in water, and can form dioxins in the process of photolysis, which are even more toxic. Even one time contamination of bottom sediment by PCBs causes long term local contamination in water. Processing of transformer oil therefore, must be one of the mandatory measures for protection of the environment against used oil products. In practice, used oil can be disposed of, or regenerated. Both processes can be divided into two subtasks. The first is the organization of an oil collection infrastructure. The second is development of regeneration technologies that, are environmentally safe and highly efficient. This second objective has been successfully achieved by the transformer oil purification systems manufactured by GlobeCore. GlobeCore equipment not only purifies of used transformer oil, but it also to restores the oil’s performance to its orginal specifications. Once processed with GlobeCore’s high vacuum degassing and regeneration equipment, used transformer oil can continue to be used in transformers performing as insulator and as a heat transfer medium. GlobeCore’s CMM-R units provide electric transmission companies with a comprehensive oil processing solution to dielectric oil contamination problems. GlobeCore oil regeneration systems consist of oil degassing/purificartion and oil regeneration sections. The units are designed for mobility and can be towed from site to site by truck. Operation of the units is managed by a microcontroller with a touch screen panel. CMM-R units operate according to pre-programmed process for eachmode of operation and require almost no operator interaction. The units are installed inside a metal container that is placed on a semi-trailer or a standard container carrier. The container is equipped with ventilation, lighting, operator/cpmtrol room and a compartment for tools and accessories. The process of transformer oil purification involves connection of the regeneration and degassing sections of the CMM-R unit to the transformer. When a CMM-R unit is connected to the transformer, oil processing can be started. The oil is heated, filtered and degassed. The oil then flows into the regeneration section. Once regenerated, the oil goes back into the vacuum chamber of the degassing unit where gas and moisture are removed. The final step is micro-filtration before being returned to the transformer. When the adsorbent of the regeneration section of the CMM-R becomes saturated by contaminants, the plant automatically switches from oil processing mode to sorbent reactivation mode. During the sorbent reactivation process, oil continues to be processed in the degassing mode. After the sorbent has been reactivated, the system automatically switches back to oil regeneration mode. The GlobeCore regeneration process therefore, not only to purifies contaminated transformer oil, but it also restores the oil back to the original new like performance specifications. The GlobeCore Process is designed to facilitate significant service life extension of dielectric insulating oils and greatly improve oil-filled equipment reliability. At the same time, usedoil released into the environment is eliminated and need to buy new oil significantly reduced.